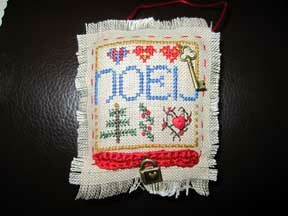 This is the Shepherd's Bush HOE Ornament that I received it has been embellished with charms. 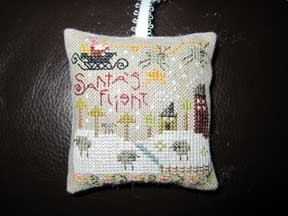 Here is the exchange that I sent out it was out of the Just Cross-stitch Christmas Ornament magazine. 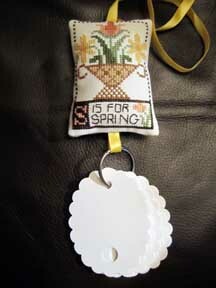 was spring and we could make it how we wanted this is a scissor/thread keeper I even made some thread tags not received my exchange yet.